On the heels of this week's May 17th release date announcement and big new trailer launch, more details about L.A. Noire are beginning to be revealed, and the press are taking notice. "We always knew, when we wanted to go down this route and make a detective game, that the key part was getting the witness in the room," said Team Bondi head Brendan McNamara. "The key part is the interrogation. Can you break them?" 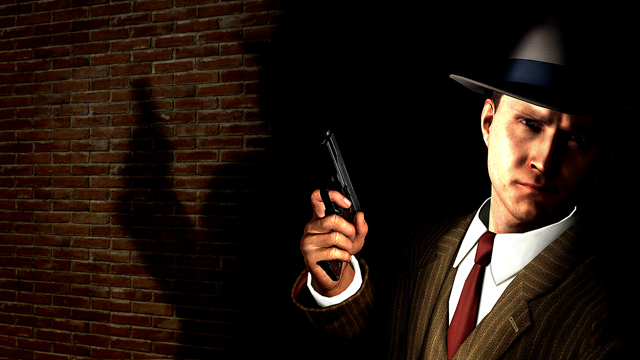 "In L.A. Noire, the photo-realism isn't just a nifty visual -- it's central to the gameplay. According to [Rockstar's Jeronimo] Barrera, "The core mechanic is... trying to figure out whether or not the person you're having a conversation with is lying to you. As the game plays out, you're investigating crime scenes and finding evidence, and you use those pieces of evidence in the conversation." And McNamara insists that the lying isn't a binary good/evil deal: "When I was writing the game, I had up on my whiteboard: 'Everybody's lying about something.'" UK’s Tech Radar examined a case in detail and came away impressed not only with the game itself, but its approach to the unflinching and occasionally grisly subject matter. "There is a level of maturity running though L.A. Noire that suggests that it is a game being pitched at people ready to take the next step in gaming. That's not to say it's light on action, even the single case included a fist fight, a car chase and a shoot-out. The slavishly recreated LA environment, the hard-boiled characters and the grimy plots are straight out the writings of Raymond Chandler and James Ellroy." This is shaping up to be the best game of 2011! Join the chat in the L.A. Noire forum!